Can you picture yourself dog sledding through a pristine white landscape, climbing mountains, crossing endless frozen lakes, cradled by the sound of the runners and the panting of the sled dogs? 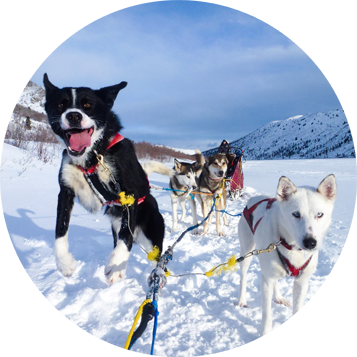 Come experience the pure joy of being part of a team of sled dogs just eager to please you, the thrill of being pulled by a bunch of amazing athletes willing to run forever and take you to the end of the world. Let us take you on a journey through time and you’ll feel like those trappers and other gold panners wonderfully pictured in Jack London novels.  Why choose Into the Wild Adventures? A true adventure: become a real musher and drive your own team of huskies through the wilderness. An intimate experience: no more than 3 people per tour group, no rush, personalized service. Our dogs come first philosophy: small ethical kennel focused on dog well being, meet our bunch of free range furry friends! A family company run by passionate people willing to share their experience and love of dogs and outdoors. Only 15 minutes from town: not much driving, small ecological impact and more time on site with the dogs. 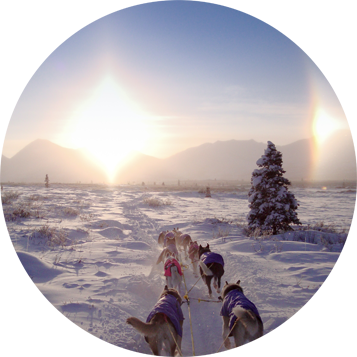 A true adventure: become a real musher and drive your own team of sled dogs through the wilderness. 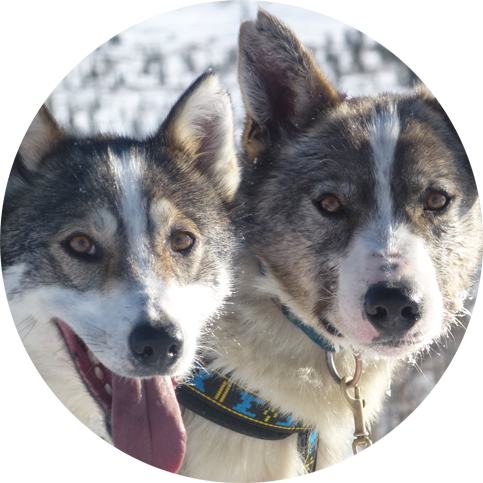 A family company run by passionate people willing to share their experience and love of sled dogs and outdoors. Out of all the dog mushing places in the Yukon, Into the Wild Adventures is truly in a class of its own. Marine takes care of her dogs like they are her children. You will see happy unchained dogs living together peacefully. The dogs are given daily exercise and love. Guests can expect to be treated as excellently as the dogs. The trails around Into the Wild Adventures are beautiful and serene. 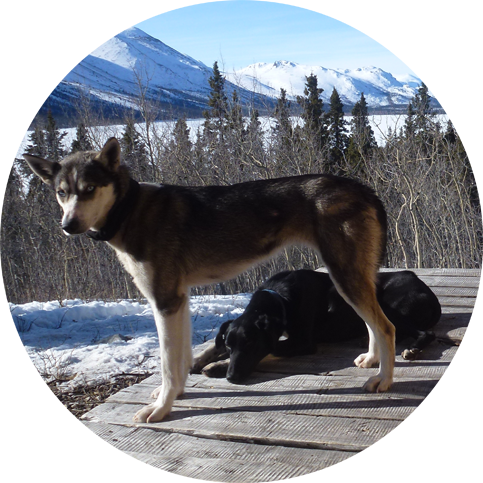 I would highly recommend the dogs and people of Into the Wild Adventures to anyone as a true Yukon experience that is sure to be the highlight of your trip! I can’t thank Marine enough! She is an awesome guide. 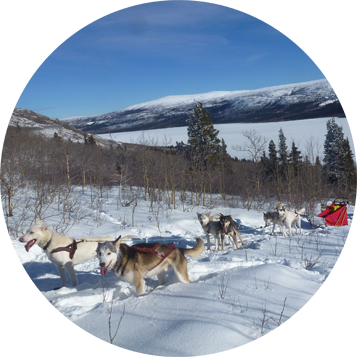 My first experience in the wilderness with a dog-sled team became an unforgettable experience! She anticipated my needs and reacted calmly and professionally to any problems I had. I was impressed with her extensive knowledge about the sled dogs, the outdoors, and her love for animals. This made me feel safe. She always had a good attitude, supporting and motivating me whenever she could. Without hesitation, I would recommend going on an adventure with her! As I visited Whitehorse in January 2016 one of my goals up there was a dog sledding tour. I got to know someone who recommended Marine. Right at the beginning there were about 30 dogs totally excited to see Marine and me. She chose four sweet dogs for me and a few for her and we put them on each of our sleds. She taught me how to stand on the sled and how to brake. I was really impressed by the dogs, how long they are able to run and pull you up all the hills and mountains. We went over Fish Lake and around this amazing area. All in all we went over 40 km with the dogs. It was the greatest adventure I had in the Yukon.